Designed and finished in a beautiful grey herringbone fabric with a subtle silver thread running through the fabric. Height 30cm. 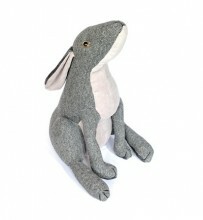 Click the button below to add the Grey Moon Gazing Hare to your wish list.